One of the best Doctor Who stories on TV ever and this does not disappoint. 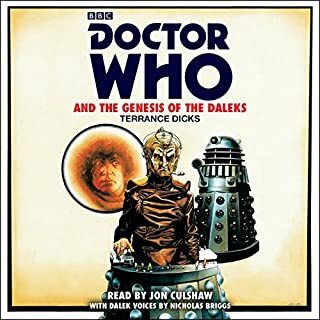 Jon Culshaw's narration is excellent including his best Tom Baker impression which sounds almost too good. It is a very strong storyline, very enjoyable and highly recommended. Why aren't the movies like the book? 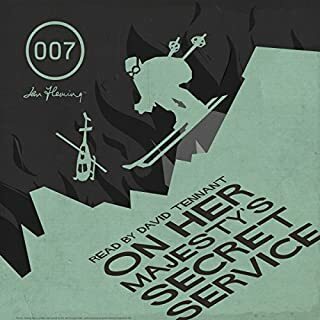 Where does On Her Majesty's Secret Service (with Interview) rank among all the audiobooks you’ve listened to so far? I have really enjoyed this book. Along side 'Moonraker' this book is so much better than the films. David Tennant narration is excellent and his voicing of the characters is superb. The storyline is interesting and enticing. 'M' with the twist of his Christmas dinner and love of orchids! The escape (and escape) down the mountain. The description of the chase is vivid and evocative. 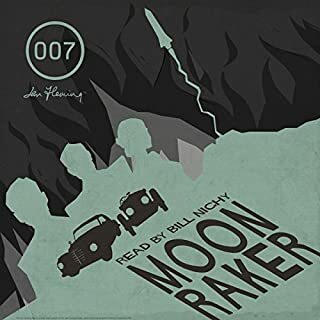 Would you consider the audio edition of Moonraker to be better than the print version? This is a fantastic edition wonderfully read by Bill Nighy. His narrative really enhances the story. What other book might you compare Moonraker to, and why? Any of the other Bond novels. What about Bill Nighy’s performance did you like? His style of delivery and interpretation was superb. I was itching to listen to the next part. Forget the movie, watch the real deal. Forget the movie, this book is so much better and believable than the movie. The story is gripping and the novel James Bond is more realistic and you can see where Daniel Craig took his interpretation of his character from.